We're closing out March in high fashion with a Newbury Street field trip for tomorrow's class. 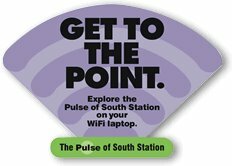 We'll be meeting with the Boston Globe's technology writer DC Denison at Trident Cafe to talk about the Pulse Point project at 9:00 a.m. Please bring laptops, if you have -- and I'd like someone to sign out the class camera to bring. We'll get the lay of the Pulse Point land from DC and then create some content to post. We'll wrap up class at 11 to give people time to get back to campus. In light of the 75% absence rate of last class, I need everyone to confirm attendance by commenting on this post. DC's taking time out of his schedule to meet with us and I've assured him of full attendance! Clarification -- We will meet at 9 am at the Trident Cafe. I just thought I would leave a link to my band's new website so y'all could see what I've been working on for the past month or so. Let me know what you think, and/or if you have any suggestions for improvement. Interesting article on the protection of digital media from unsolicited copying and sharing, could be important for us artists down the line. 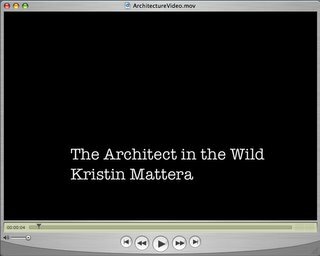 Here is my video "The Architect in the Wild", where I am attempting to sneak up on my boyfriend in the architecture studio. Quicktime mpg4 file (5MB), Run time 1min, 56sec. Play movie. March 23, 2006, from 11:30 am to 2:30 pm. According to Lawrence Lessig, the free culture movement is concerned about big media protecting the interests of big media over creators. Free culture supports and protects creators and innovators and seeks the transformation of culture through the free exchange of ideas. Join us for a lively discussion of artistic freedom, the public domain, copyright, control of the media, open access, open source, free software, academic journals, institutional repositories, and consumer rights. So perhaps classcast tonight? Or perhaps not! Also -- FYI, I've been having some difficulty loading images with blogger. "An interactive Flash application allowing users to explore the evolution from written language to video communication by creating linear, syntactical, 'sentences' out of short video clips." 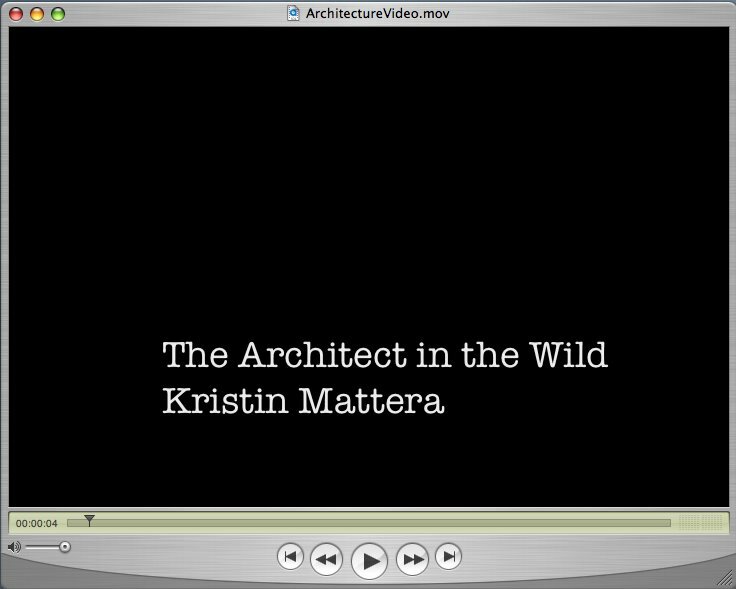 Check out Serra Shiflett's thesis project -- VideoString. I told Serra that our class would check it out -- she has a survey set up on the site. In fact, this is a good example of project planning/user testing, which is going to be the focus of our class on Thursday (I'm rejiggering the syllabus). Podsafe music- "The Rock and Roll Geek Show- Indie Cast": a branch off the normal "Rocka dn Roll Geek show" the indie cast highlights podsafe bands in an interesting format. Update: iTunes has just made a separate section for the Indie casts, but feel free to check out the regular broadcast of the Geek show! The host is Michael Butler. Da Vinci Code experience- So much better if you have read the book! The first episode of "Treacherous Tales of Being an RA", from the NU RA podcast series. This episode is from February 2, 2006. It features the voice talent of Ben Woods and Kristin Mattera. Thanks to Archive.org for providing storage space for this file. Duration: 4m 26sec. Format: mp3. Mark Glaser solicits readers as to what type of content they want on their cell phones. Let's discuss in class! Ben, I'm posting a link to the article instead of putting it in this post. As promised -- a Wednesday a.m. delivery!